The pattern is promise and fulfillment, not rejection and repudiation. This is true even in the case of Acts 15, with the apostles citing the authority of Amos 9:11-12 and even citing the binding authority of Genesis 9:4 on the Gentile believers. Again, the pattern is promise and fulfillment. Andy Stanley argues that the Old Testament should not be cited as “the go-to source regarding any behavior in the church,” but the moral law of the Old Testament remains honored by the church and repeated (even intensified) in the New Testament. Peter, James, and Paul did not “unhitch the Christian faith from their Jewish Scriptures,” nor can we. Marcion was embarrassed by the Old Testament, and so are many modern people. Andy Stanley, at the very least, seems to fear that embarrassment in others, even if he does not identify with it himself. He spoke this way with Jonathan Merritt: “I’m convinced that we make a better case for Jesus if we leave the Old Testament or the old covenant out of the argument.” We can make a better case for Jesus than the case Jesus made for himself? It is very instructive to remember that the most influential theological liberal of the twentieth century, Adolf von Harnack, chose Marcion as his theological hero. Why? Because, like Marcion, he wanted to reduce Christianity to what he claimed to be its essence, the benevolent fatherhood of God. All the doctrines of orthodox Christianity, including the doctrines concerning the divinity of Christ, were dismissed as either Jewish or Greco-Roman encrustations. But another key question is whether one can be a faithful Christian while denying the truthfulness of Scripture. Jesus himself makes the point that without the Old Testament as the Word of God, we really do not know who he is. Then what does it mean to be a Christian? As we sing, Jesus Christ is the church’s one foundation, but we cannot know him apart from the Bible. But the New Testament is very concerned about how Jesus got into the world, and if he was not conceived by the Holy Spirit, then he was conceived in some other way. Here we need to remember that the etymology of heresy is rooted in choice. A heretic denies a belief central and essential to Christianity. But heresy also takes the form of choice. You can choose to believe in the virgin birth or not, Stanley argues; he is not all that concerned about it. 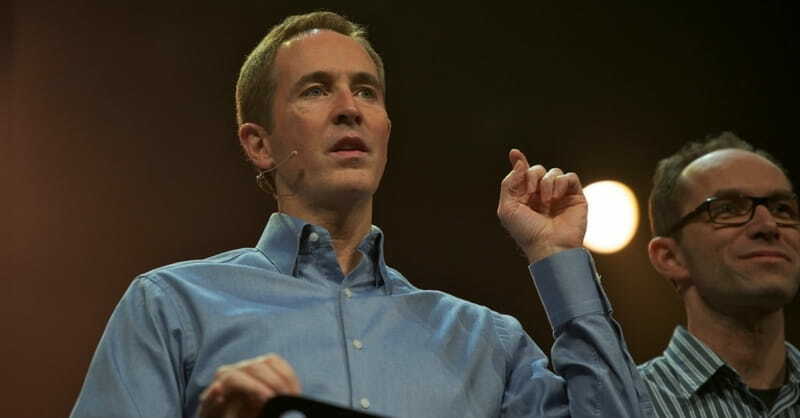 Several years ago, I argued that Andy Stanley represents a new face of theological liberalism. In our day, he is playing the role that was played by Harry Emerson Fosdick in the early twentieth century. Stanley may not intend to play that role — he sees himself as an apologist. So did Fosdisk. He sought to rescue Christianity from itself, from its doctrines and truth claims. He cited his own “deconversion” stories as justification for remaking Christianity.